Black undocumented immigrants are detained and deported at disproportionate rates. So black DACA recipients are particularly fearful. Sumbwe is one of 12,000 black Deferred Action for Childhood Arrival (DACA) recipients, according to an estimate from the Black Alliance for Just Immigration (BAJI). And on Tuesday, when Attorney General Jeff Sessions announced that the Trump administration would rescind the program, this community was not spared. “Black immigrants comprise just 5 percent of the overall immigrant population, but 21 percent of those deported as a result of criminal contact. [A similar disparity] holds true when we look at detention rates,” said Carl Lipscombe, deputy director of BAJI. 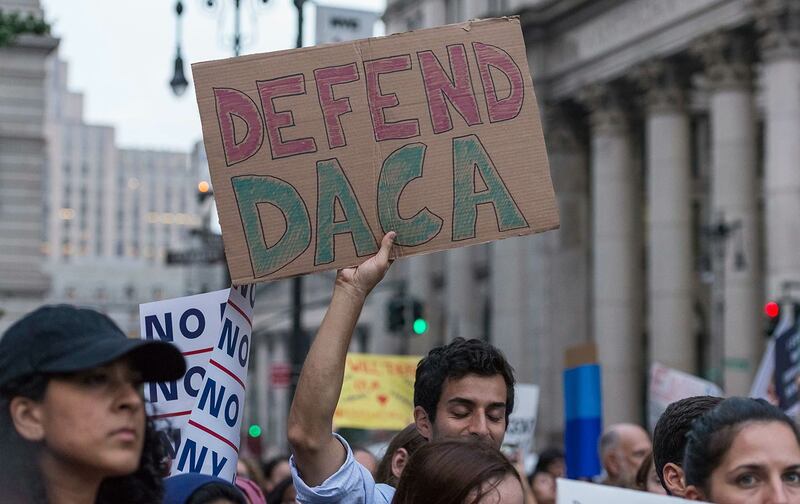 “This is abnormally high and points to racial disparities when it comes to deportation rates and outcomes in immigration court.” According to Lipscombe, most black DACA recipients come from Jamaica, Trinidad and Tobago, Nigeria, and the Dominican Republic. In 2015, Green, 25, started the UndocuBlack Network after the Baltimore protests that followed Freddie Gray’s death and other high-profile police killings of black Americans. “Folks didn’t see our stories and our lives,” said Green, who was born in Panama. “It was easy to erase us.” So he sought to create a space where undocumented black immigrants could come together to support one another and organize.